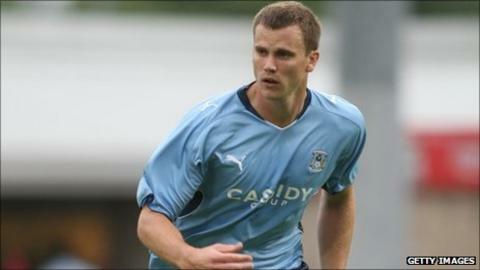 Cardiff City have completed a deadline day deal for defender Ben Turner from Championship rivals Coventry City. The 23-year-old has joined the Bluebirds for an undisclosed fee on a three-year deal. After passing a medical and agreeing personal terms, Turner trained with Cardiff on Wednesday. However Coventry's pursuit of Cardiff striker Jon Parkin has ended after he failed to agree personal terms. Cardiff boss Malky Mackay had already signed nine players since replacing Dave Jones as manager at the Cardiff City Stadium in June. Cardiff lost 12 players following their Championship play-off semi-final defeat to Reading last season and Mackay feels his side are still "under-strength". The Bluebirds were keen to bolster their defensive options and versatile Turner can cover a number of positions. The former England under-19 international, who had three years remaining on his Coventry contract, made 93 appearances since graduating from the Sky Blues academy and won the club's 2008/09 season Player of the Year award. But Turner underwent surgery on a knee injury sustained playing against Leeds United in November 2010 and he has not played since.